Jiahui International Hospital is the first privately owned, international-standard, and tertiary level hospital officially authorized by the China Health Department. The foreign-invested joint venture hospital is located in the central area of Xuhui District – Caohejing New Territory. The hospital occupies 32 hectares with over 170,000 SQM in building area. At total investment of $500 million and 500 licensed beds, it is currently the largest, foreign-invested joint venture hospital in Shanghai. From design to operation, Jiahui aims to use best practices to be an internationally recognized, leading medical institution in China, providing high-quality, patient-centric, and integrated healthcare services, professional training, and clinical research. The campus includes an inpatient bed tower, outpatient clinics, interventional suites, an emergency department, an oncology center, and other specialized uses. The hospital set to trail operation on October 2017. Bringing true international standard of medical service, Jiahui International Hospital collaborate with Massachusetts General Hospital since 2011 to plan the overall strategy, operation management and clinical research. 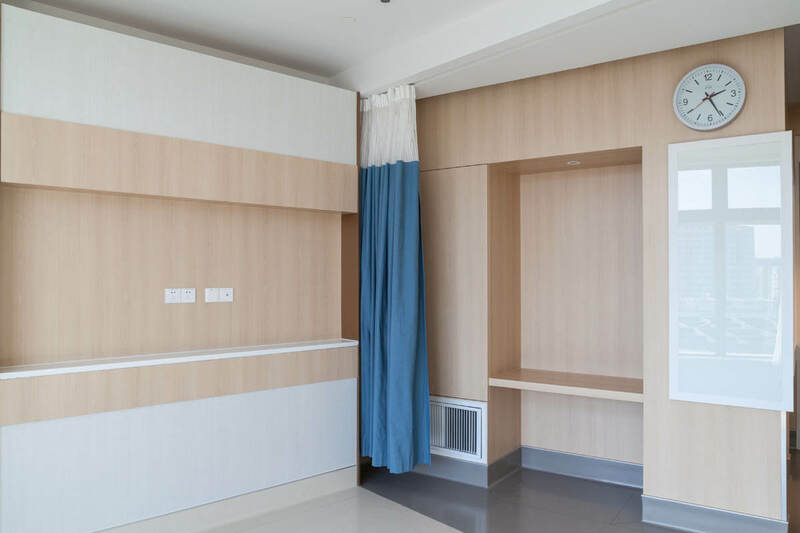 From overall design to daily operation, Jiahui International Hospital focused on delivering efficient, comprehensive and patient-focused healthcare. The hospital design and construction complies with FGI and JCI standard. It is the only healthcare complex that received LEED Gold award in Asia. 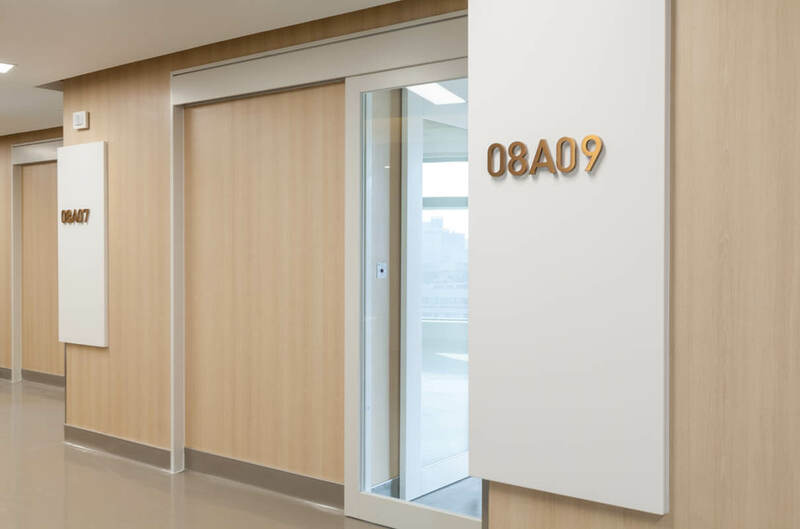 The interior space of the hospital employs massive amount of Corian® in front desk, corridor, patient room, operation theatre and research lab. Position as professional premium integrated hospital, Jiahui focuses hygiene as one of the most important criteria. 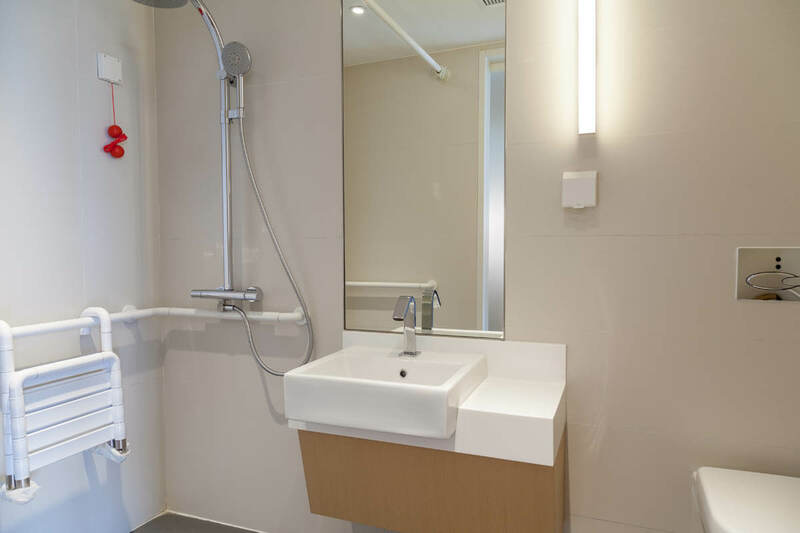 Corian® is non-porous and seamless, making it resistant to bacteria, easy to clean and minimizing risk of cross infection. Even in operation theatre and X-ray room where radioactive substance is in the space, Corian® is able to provide superior performance and resist contamination. Envisioned as a welcoming, high tech and contemporary environment similar to hotel, Jiahui make uses of different colors and seamless joint of Corian® in reception, corridor, patient room, windowsill etc. to realize this design. The superior functionality of Corian® also reduce maintenance cost and increase the total value in use; archiving a true world class medical standard. 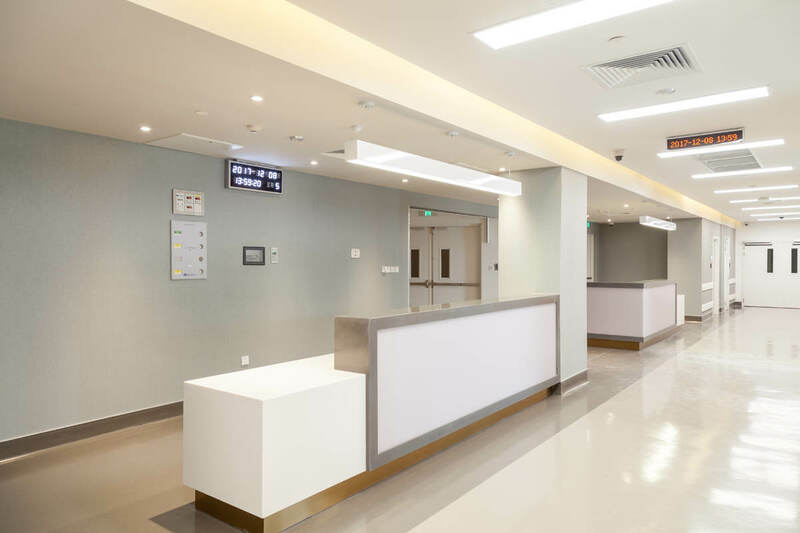 Focusing on patient-centric and premium medical quality, Jiahui International Hospital integrates Corian® into every part of the healthcare system and become new benchmark of premium hospital.